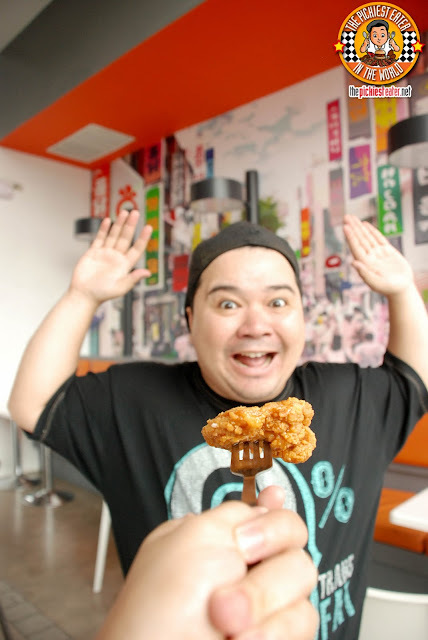 THE PICKIEST EATER IN THE WORLD: THIS IS A HOLDAK! 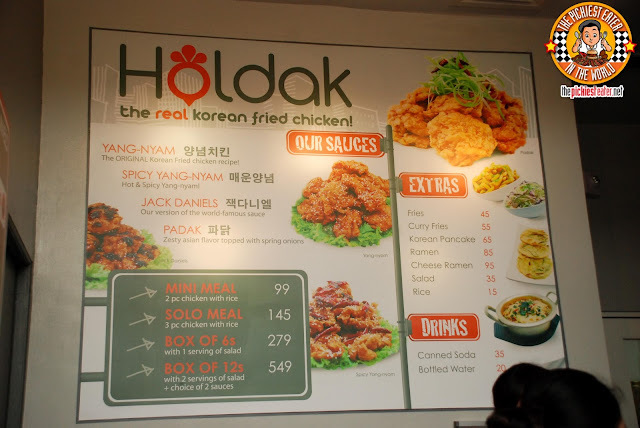 Though they're a little late in entering the Twice Fried Chicken Game in the Philippines, Holdak actually set up shop in Korea in 2003. 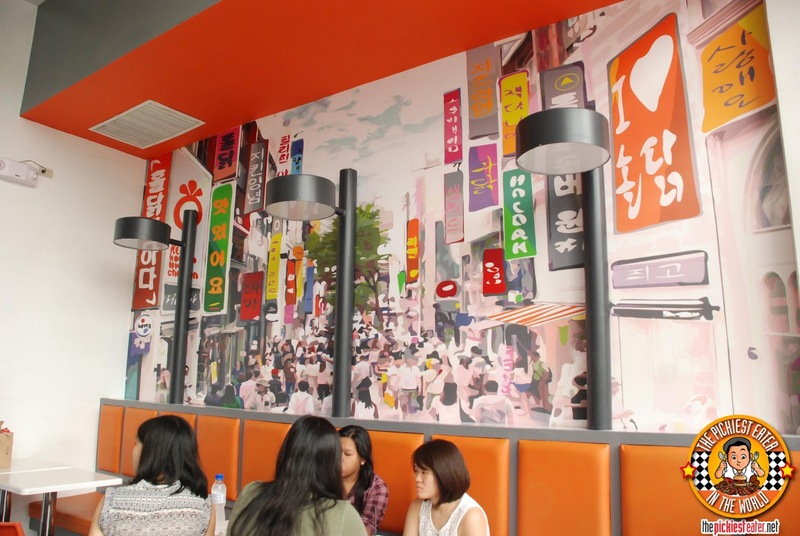 Since then, they've steadily grown their business, and have expanded to countries such as Japan and China, until they finally opened a branch here in the Philippines. They have a cozy little nook in Mezza Residences in Sta. Mesa, where the vibrant colors and decor give out an Urban Korean vibe. The meal kicked off with their Salad (P35). 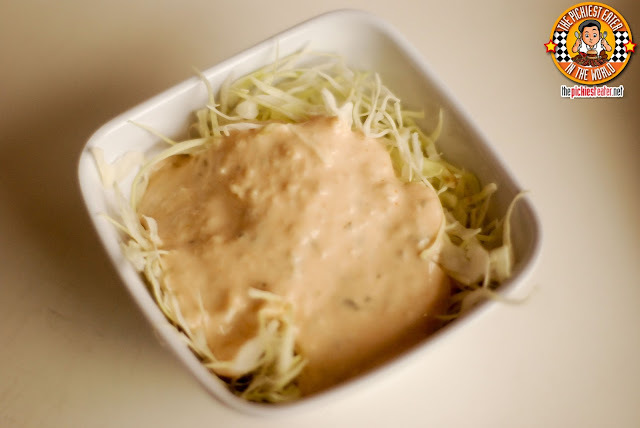 It was basically shredded cabbage with thousand island dressing on it. Although it was kinda simple, Rina seemed to enjoy it as a starter. For my starter, I preferred the Curry Fries (P55). 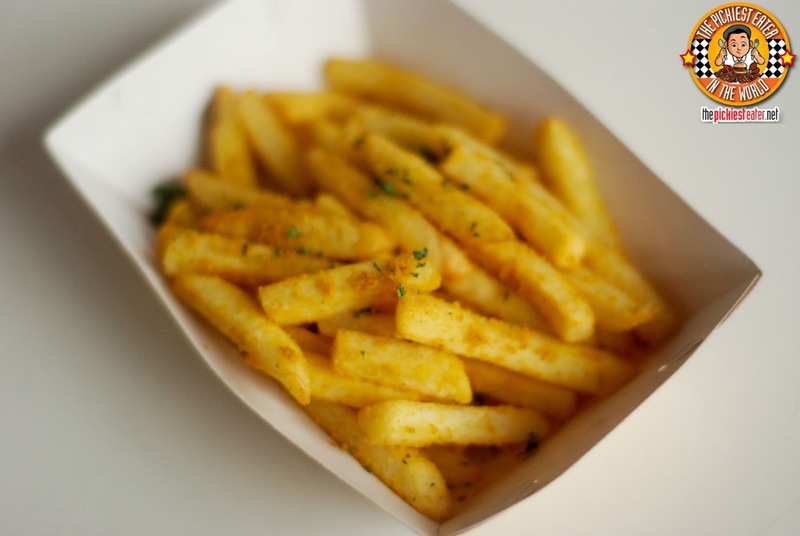 The sliced potatoes were fried to a golden crisp, and was gently dusted with a fragrant curry powder, giving it a nice flavor of exotic herbs and spices. Holdak also has the ever-popular Ramen (P85) available, although (especially for it's price) this is a far cry from what you can get from its authentic Japanese counterparts. This seemed more like from a packet than from a Japanese chef, although it did have comforting feeling to it. If you think of it as actual "Ramen", you'll be disappointed. 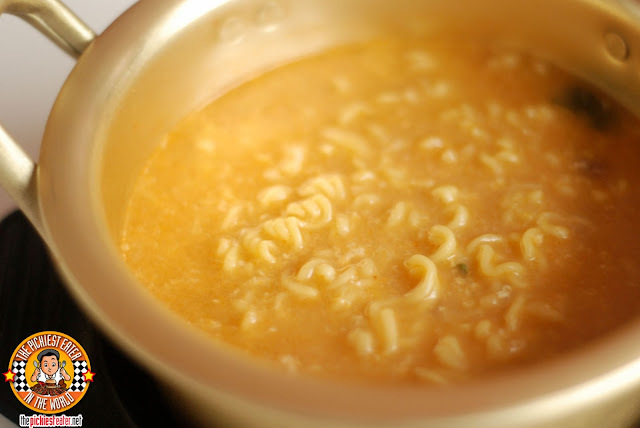 If you think of it as a noodle soup you got for P85 bucks, you'll be just fine. Rina and I liked the Cheese Ramen (P35) variant more. 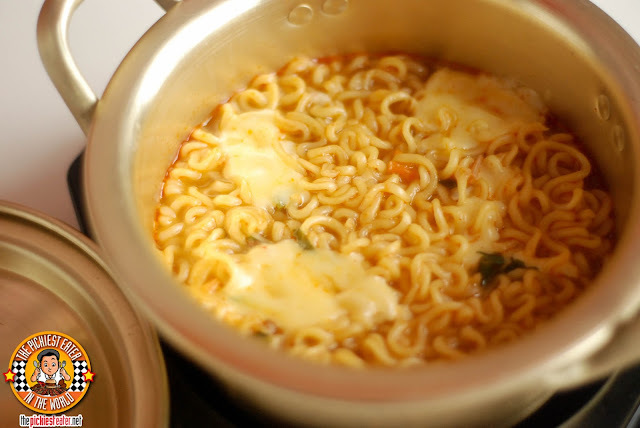 Still the same, almost "instant" type noodle soup, but this time, with some small slices of cheese thrown into the mix. 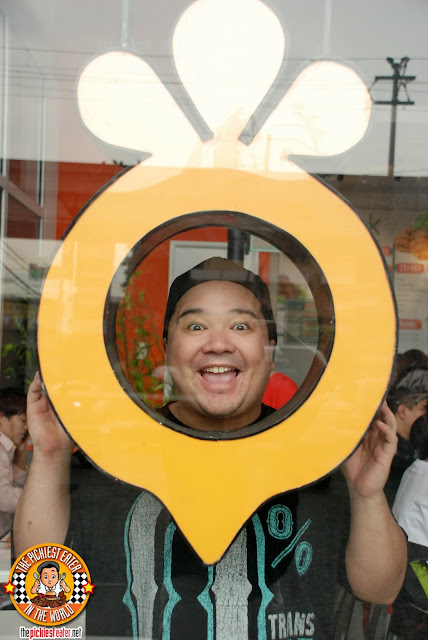 Ok, I'll be the first to admit that I got bitten by the twice fried chicken bug when it burst into the Philippine food scene. I still love the stuff, don't get me wrong, but I always have the same comment about the ones I try: Most of the flavor is usually all in the skin, with the meat lacking the same punch of flavor. Holdak did something that no other Korean Chicken place has done, or if they did, they didn't do it nearly as well. They wisely used Thigh Fillets. That's right.. No bones about it (Pun intended). 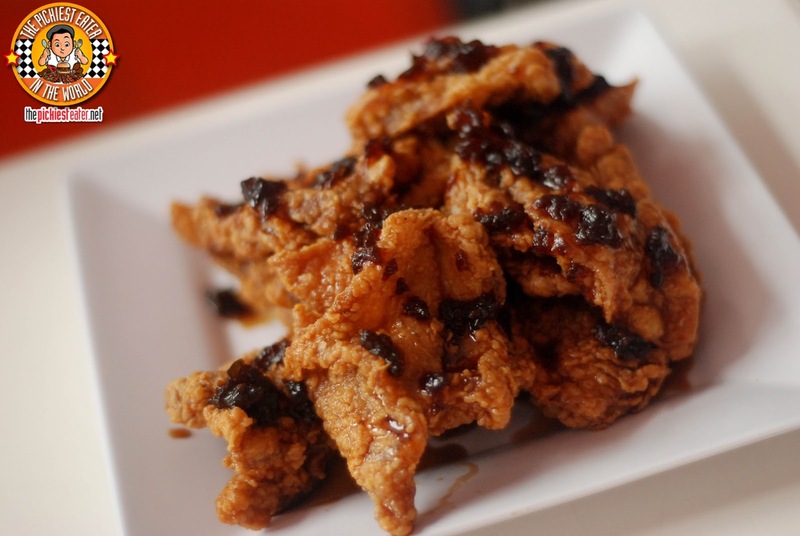 Using thigh fillet, seemed to make it easier for the flavor of the different sauces to get absorbed by the meat, ensuring you get the wonderful crunch of the skin, and the explosion of flavor in every bite. 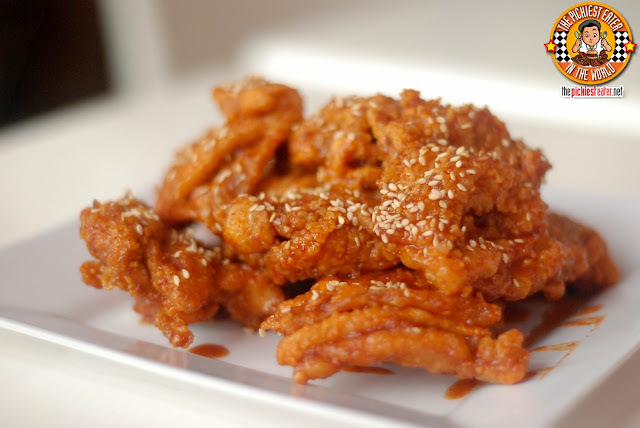 The Yang Nyam flavor is pretty much Holdak's equivalent of "Soy Garlic", It's a meeting of sweet and salty flavors that compliment the juiciness of the chicken. The flavor I liked the least was the Spicy Yang Nyam. It still had the basic flavor of the Yang Nyam, but with a kick so spicy, it was like it was prepared by Jean Claude Van Damme. 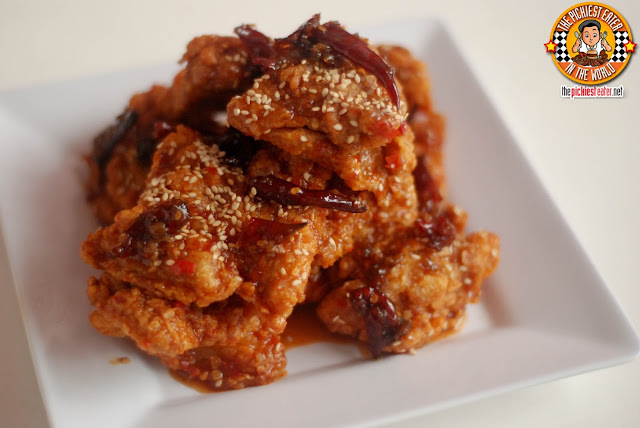 I felt the heat was a bit too overwhelming and masked the flavor of the chicken. But my other companions seemed to enjoy it. Go figure. The Padak was something more along the lines of my palate. This was described as "Zesty", and I think it was a very appropriate description. The chicken was drizzled in- not so much a "sauce" but more like a "syrup" that had a light, almost fruity tartness to it, that was complimented by the spring onion and chili garnish. Rina found it funny when I said, "The favorite of the Pandak was the Padak." 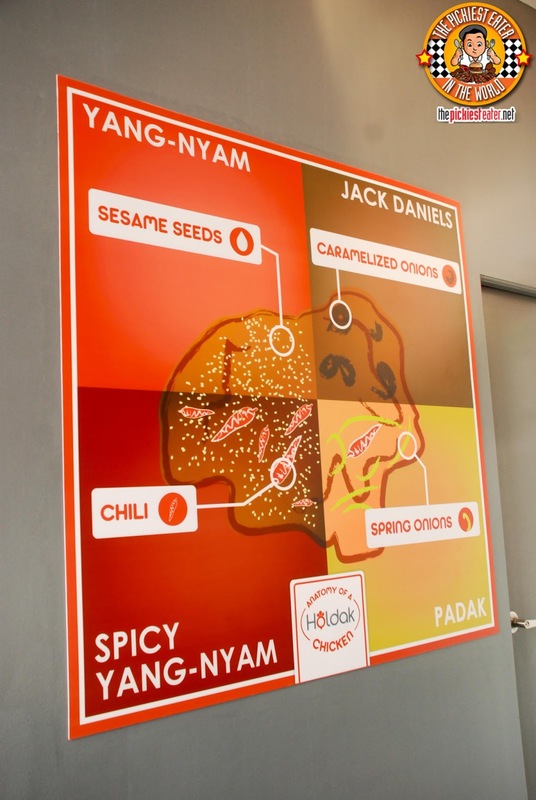 I'm actually torn which one I love most between the Padak and the Jack Daniels Chicken. The Jack Daniels sauce had a touch of sweetness with an aromatic tanginess that made crunch after crunch an amazing experience. 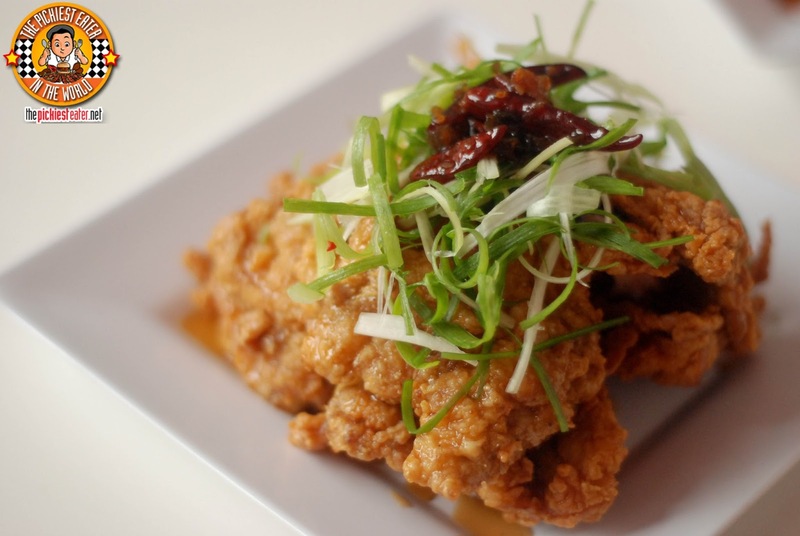 The chicken is peppered with bits of caramelized onions, adding to an already mouthwatering flavor. What's even more incredible with Holdak, is that the prices won't cause you to break bank. 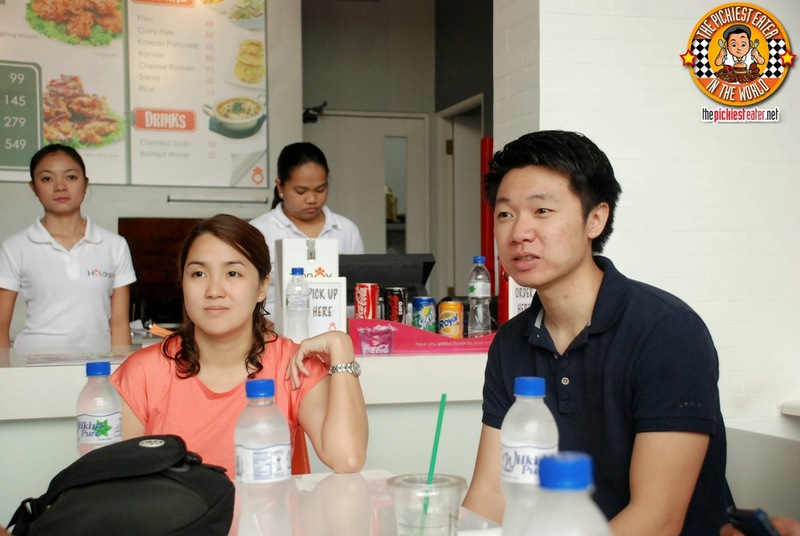 P99 bucks for a 2 piece meal with rice? P145 for a 3 Piece meal? Please take note that this isn't wings they're using.. These are thigh fillets! Thank you to our gracious hosts, Leslie and Carl for introducing us to the what is perhaps the best Korean Fried Chicken I've had! 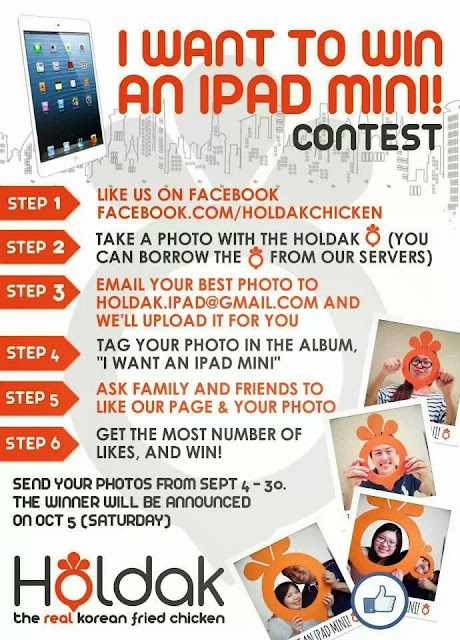 Holdak also has a promo, wherein if you take a picture with their logo (They have actual hand held ones, but it was being used by someone else, so I made use of the logo mounted by the door hehe) you could win an iPad Mini! Hurry, you only have until September 30 to send in your photos!! 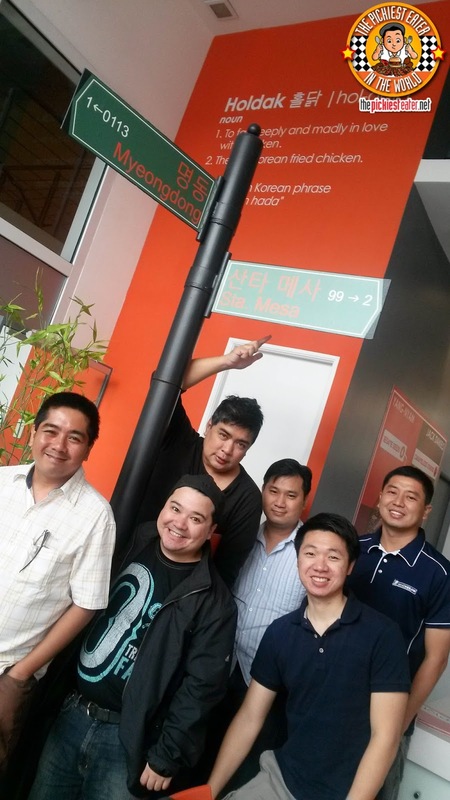 Too bad I missed this, but I'll really visit this place soon!